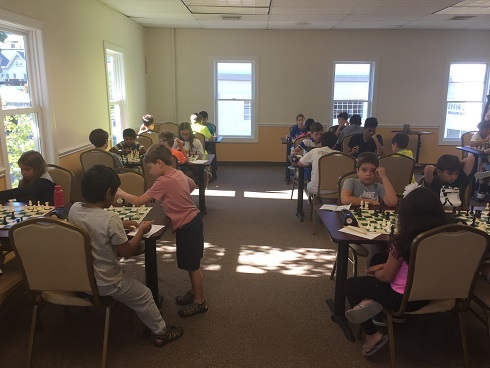 This week we hosted 29 eager players for our monthly K-12 Scholastic Championship. Annie Ulmer earned first place in our K-2 section with 3.5 total points. 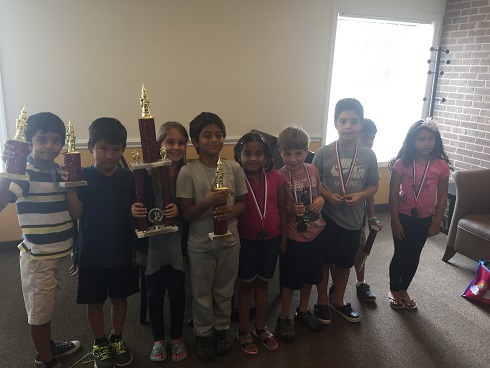 Sarvesh Neelavalli and Arjun Leih placed second and third, respectively, each with 3 total points. Nishant Jain followed close behind, earning fourth with 2.5 total points. Finally, Brian Yee earned fifth place with 2 total points. 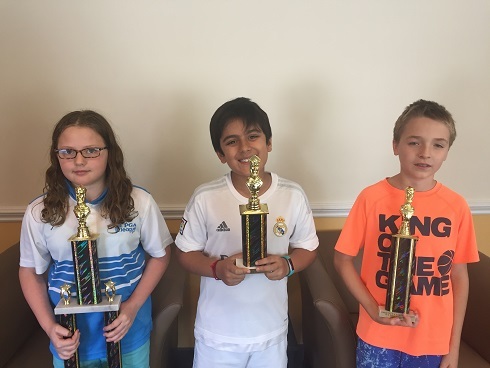 There was a remarkable tie for first in our K-5 section between Mateusz Zalewski, Seraphina Mlynar and Arav Ramaswamy. Using tie-breaks they earned first, second, and third, respectively, each winning 3 total points. K-12 was our largest section, with fifteen competitors playing three G/45 games. Leo Koganov won all three of his matches to win clear first. Ann Song placed second, earning 2.5 total points. 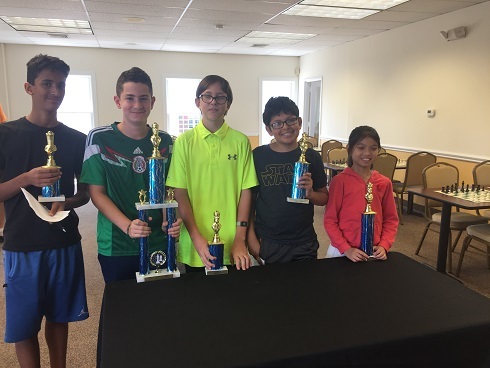 3rd – 5th was shared by Emmanuel Hernandez, Rohan Awasthi, Meredith Feiner, Aurelius Mlynar, and Brent McCreesh each with 2 total points. As always we were impressed by the enthusiasm of all the players for the game. Everyone showed incredible camaraderie and sportsmanship throughout the event.We want to thank all the participants for their effort. We look forward to seeing you next time!